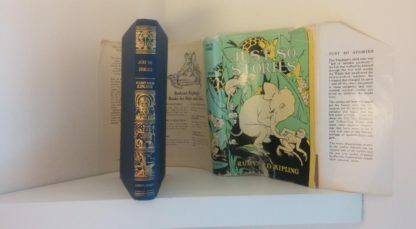 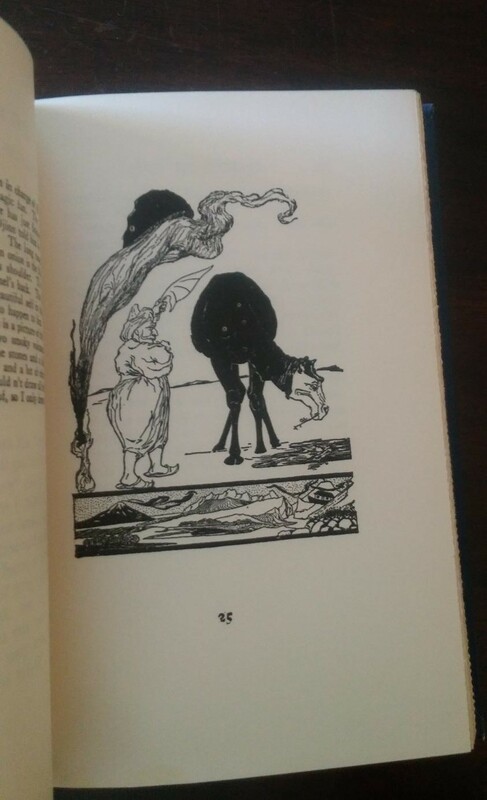 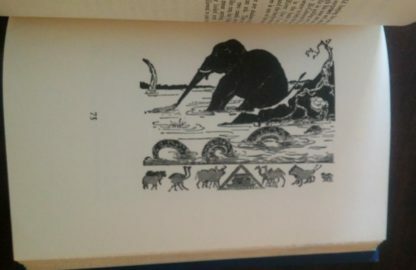 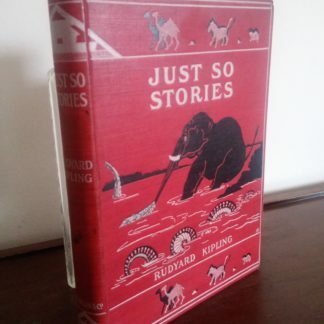 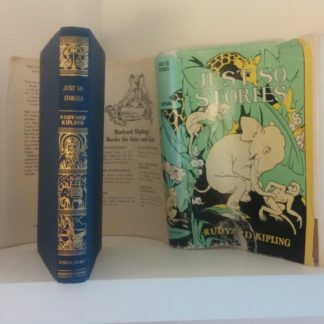 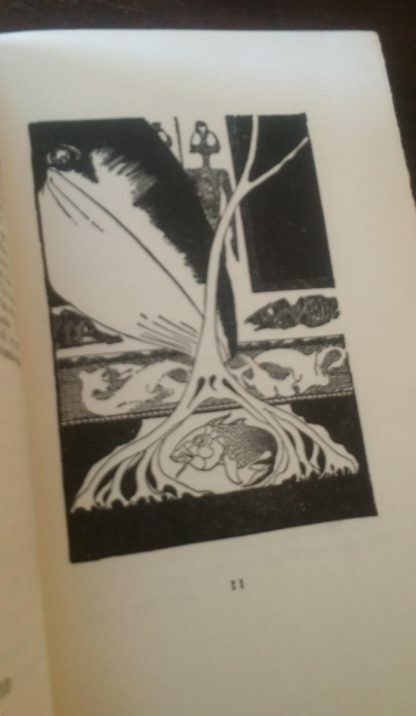 Beautiful 1907 First printing of the Second edition to come out, (it was the first template change since 1902) of Just So Stories, by Rudyard Kipling (The First Edition originally printed September 1902 in the UK). 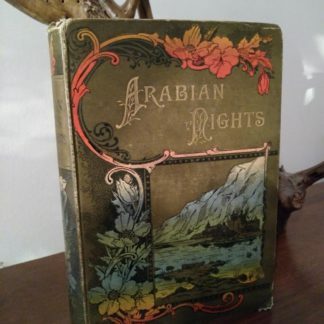 Published in 1907 by Doubleday & Company, New York. 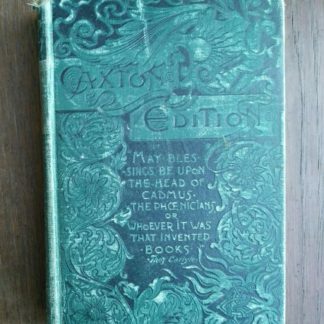 We suspect it will be hard to find another exact 1907 copy in finer condition. 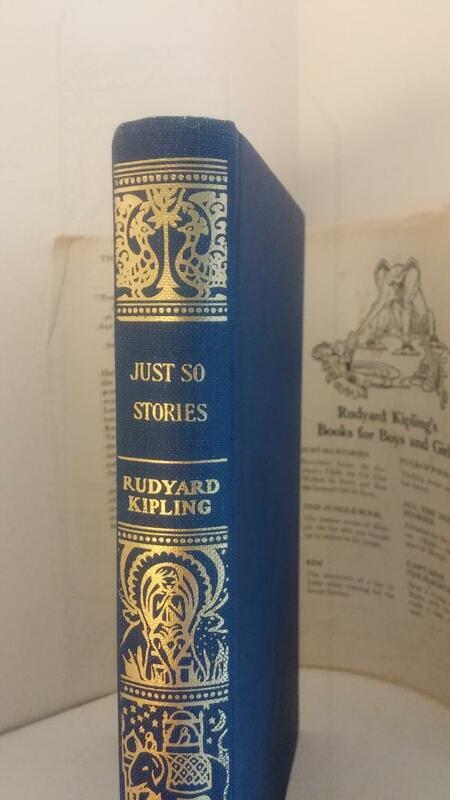 The binding is in very nice shape, everything tight as if it were put in a time capsule. 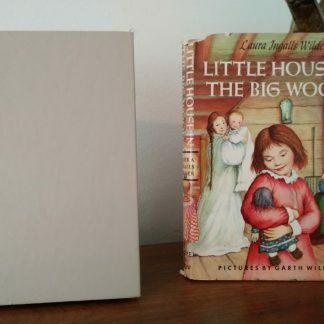 Comes with original dust jacket. 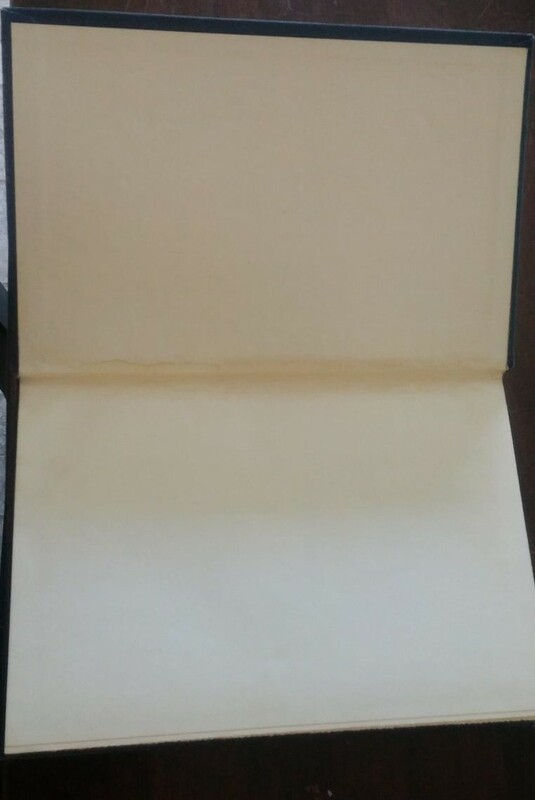 Very clean copy, no bends or markings on pages. 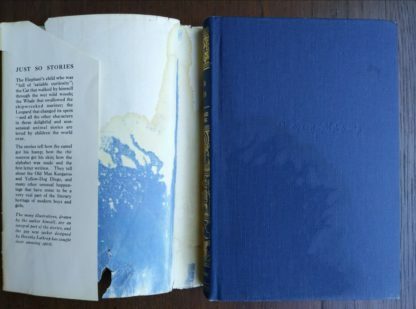 The only imperfections worth noting is that it appears the top of the dustjacket had something wet placed on it at some point because if you look at the backside of it the blue colour of the front of the actual binding bled onto the actual dust jacket just underneath. 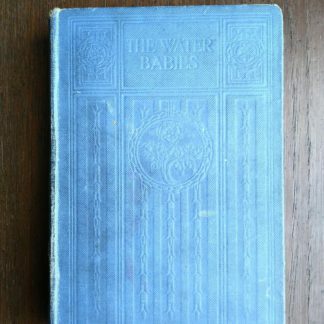 The binding itself is not discoloured from this but from a certain angle if you look closely you can tell that there is a slight watermark. 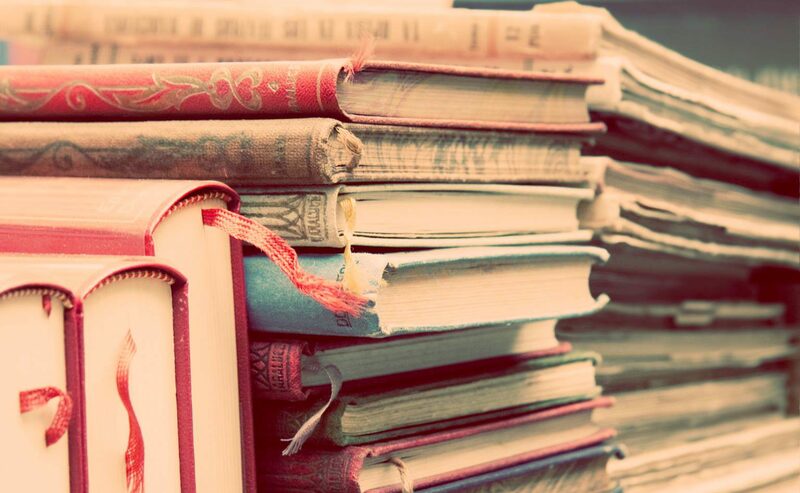 We think a cup of water was placed on top of the book, the pages inside have no water damage. The dustjacket is ripped at the bottom of the front page where “Rudyard” is written and a previous owner has placed some tape is that spot. Author illustrated the beautiful pictures found throughout the book. Generations of children have delighted to Kipling’s Just So Stories and their whimsical explanations for the reasons behind certain animals’ distinctive physical characteristics. 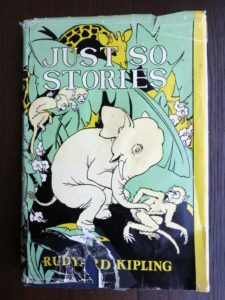 “The Elephant’s Child” reveals how pachyderms came by their trunks, and “The Sing-Song of Old Man Kangaroo” discloses the origins of that creature’s unique anatomy. 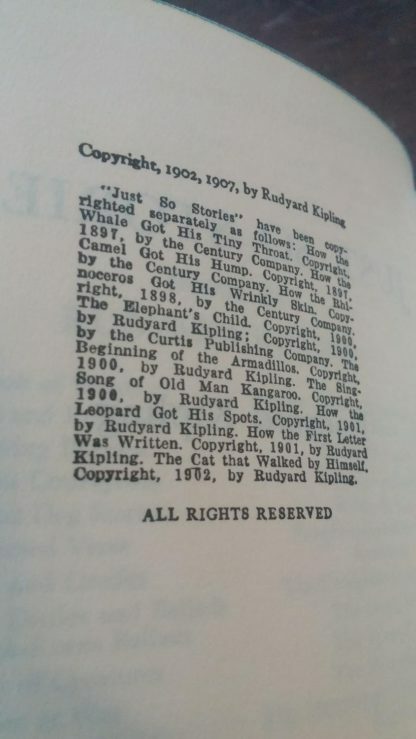 “The Cat That Walked by Himself” offers a beguiling description of the special relationship between cats and those they allow to shelter them. Other fables include “How the Camel Got His Hump,” “How the Whale Got His Throat,” “How the Leopard Got His Spots,” “How the Rhinoceros Got His Skin,” and five others. This timeless treasury, promises memorable amusement not only for the children of today but also for yesterday’s children, the adults who may remember hearing or reading the stories when they were young. 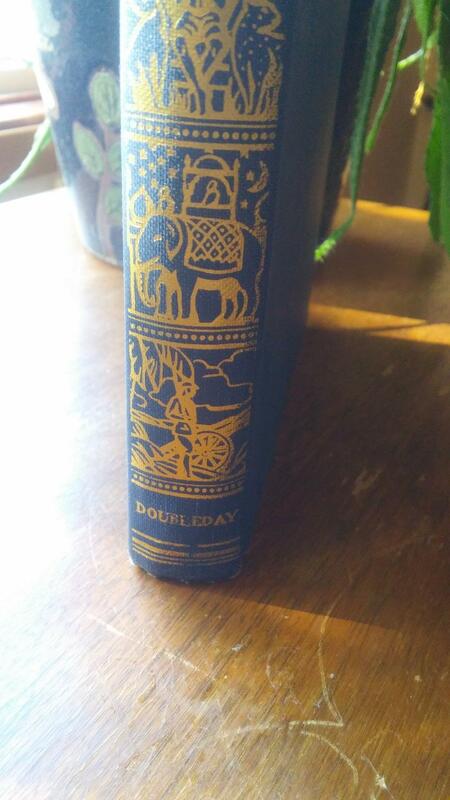 Printed by Doubleday & Company Inc, Garden City, New York. 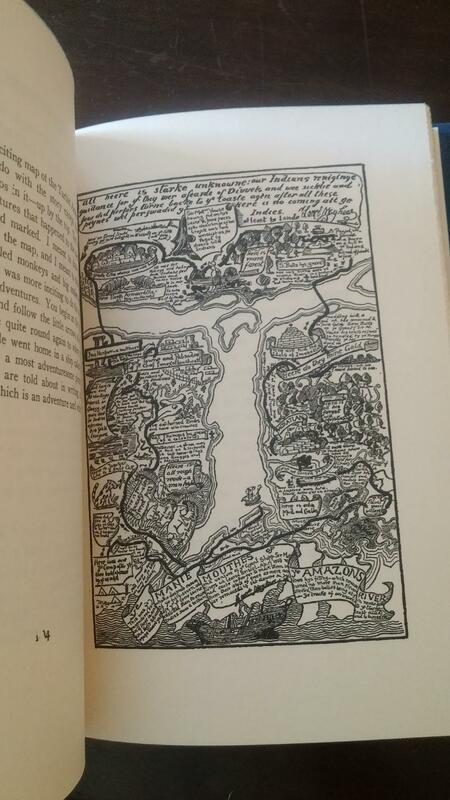 This is not a widespread printing and is appraised as a ‘rare’ edition of the book. We see other copies of this book arise from time to time, but ours is the nicest condition we have ever seen it in and the only one we have seen with a dust jacket. Thank you for checking out this post and feel free to ask any questions!